Thank you, John, for this reminder. 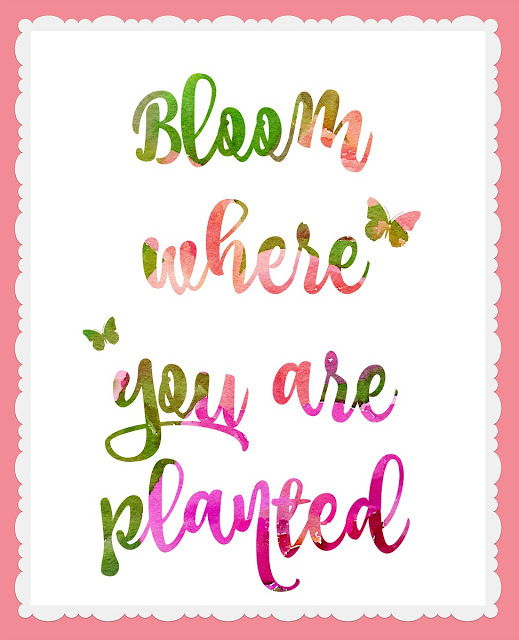 We are in a time of transition and it's easy to focus on what God may have planned for the next step and forget to bloom right here where He has us right now! I love reading your words here. I'm glad you've joined your sweet wife on the blog. What a blessing you are! John, this is beautiful! I've never seen anyone comment on the "food and water", yet that's so critical. This is a keeper. Great, inspiring post! I, too, love, love PicMonkey but I did not know how to do this and appreciate your sharing the "how to." Happy new week! Such an insightful and delightful read about our life's purpose. Thanks for sharing and warm greetings to you.